No matter what the look you're going for when you mulch your landscape we have it covered. 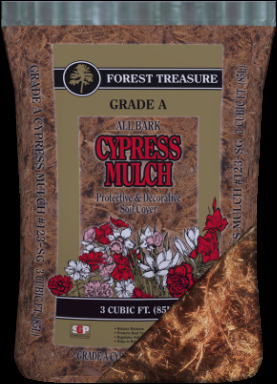 From shredded to nuggets to pine needles we have an enormous selection of mulches to choose from. All of our mulches are available for delivery or you can come pick them up. Before you mulch we strongly recommend you put down weed granules. Weed granules work like an invisible force field keeping seeds from germinating while doing no harm to existing plants. Simply spread granules over area to be mulched and then put down mulch. If you have already mulched weed granules can be put down over top of existing mulch and still work effectively. This way you can spend more time enjoying your yard and less time bent over pulling weeds. Trust us your back will thank you. We have several types of mulch all of them working basically the same as far as moisture retention, moderation of soil temperature, and weed suppression. They do differ in texture, color, decomposition rates, and application uses. Some are work better on hills, others take longer to break down, and some even help slightly acidify the soil as they break down. Everyone has different needs does not need the same kind of mulch that is why we carry several different varieties of mulch. Click on any of the images below to learn more about the corresponding mulch. Our knowledgeable staff is standing by to help you with your choice. Click on a product below to learn more and order online!